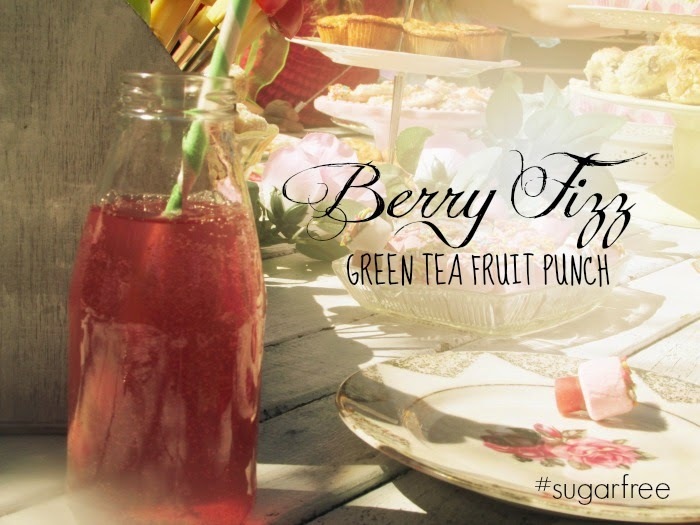 A few people have asked for my recipe for delicious sugar-free green-tea fruit punch. So although I have included the recipe in my various impromptu party posts, I thought I'd single it out for some special attention and give it a post of it's own. I invented this concoction myself, and it has been guzzled with glee by kids and adults alike. The drink is light, refreshing and - dare I say it - good for you. 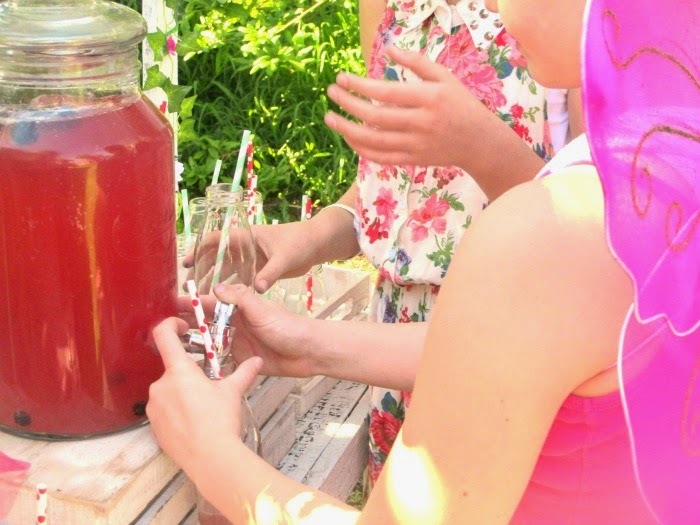 It's a great alternative to fizzy drinks at birthday parties, satisfying the little people's desire for something fizzy while satisfying the concerned mamas' need avoid their littlies bouncing off the walls. The use is not limited to parties OR children though, oh no. This is the perfect light refresher to serve chilled on a hot summer's day, any day of the week. You can serve it up at barbeques, at lunch, or sip it as you're reading in a sunshine-dappled hammock, with a gentle breeze wafting through... (we can but dream). 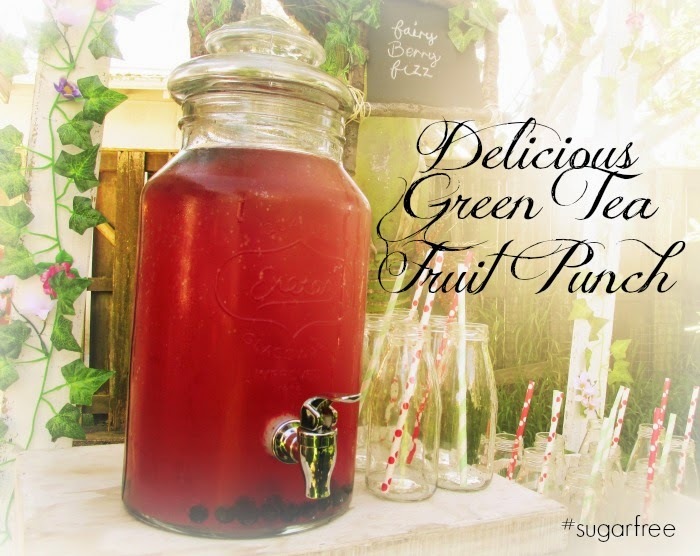 Without further ado, here's the recipe for my Green Tea Fruit punch - in two versions Berry and Apple. Feel free to adapt, add your own flavours, get creative and ENJOY! Two tablespoons of runny honey. First dissolve the honey in the boiling water; then add the green teabags, lemon and berries and steep overnight in the fridge. Add 3 litres of chilled soda water and voila - a delicious healthy fizzy drink. So light and delicious, with no artificial colours or flavours and refined sugar free. (NOTE: Never put berries in the drink dispenser as a pretty garnish. They clog it up and force you to ladle out the fairy fizz with a scoop! Gah). First dissolve the honey in the boiling water; then add the green teabags, lemon and apple and steep overnight in the fridge. 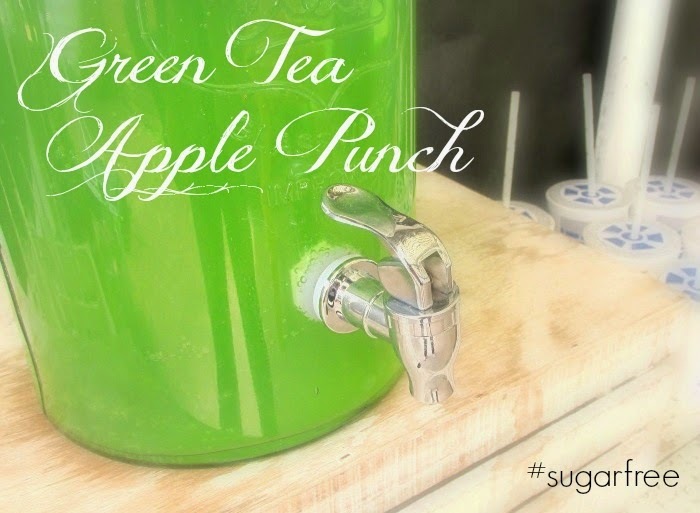 The next day strain your punch base into a drink dispenser (or large jug) and add 1 litre of sugar-free apple juice (e.g. Just Juice which has no added sugar). Add 3 litres of chilled soda water and serve. 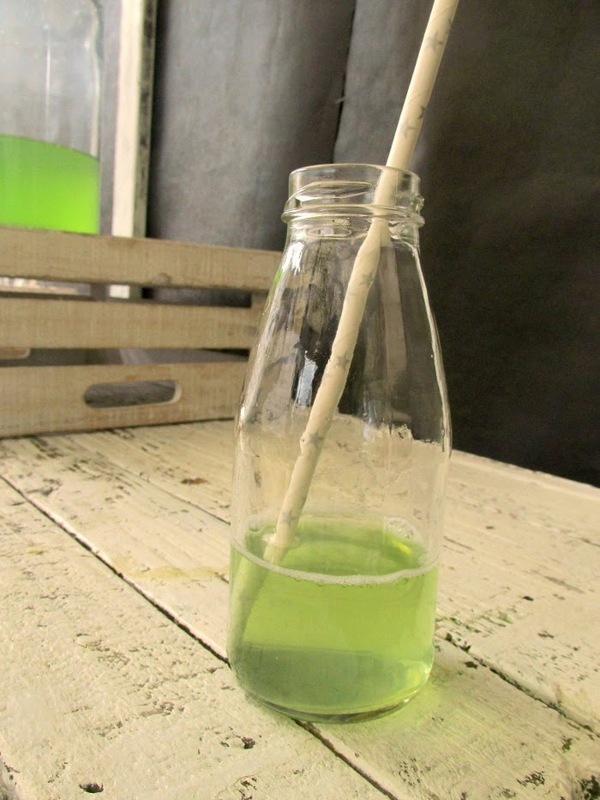 OPTIONAL: Add a drop or two of natural green food colouring for a green-tinted drink; perfect at Star Wars parties as Yoda Soda and the like.